TRUSST (Therapeutic Risk Underpinned by Safe Supportive Techniques) training is a unique take on standard restraint training as it focus’ less on the holds staff could utilise and more on the de-escalation skills staff need to develop to support our Young People. All staff at Care in Mind are trained by qualified instructors in TRUSST which lays out an approach to crisis management that promotes a culture of learning and growth and sees crises as opportunities for positive outcomes. Effective risk management is essential to our work. We approach risk in a collaborative way, with the young person at the centre of their care and risk management. Therapeutic risk management encourages a young person to take increased responsibility for their risks over time and to develop healthier ways to manage their distress. Care in Mind operate a non-restrictive policy, whereby the use of physical intervention and restraint is avoided wherever possible. This allows for more respectful and thoughtful relationships with clients and encourages alternative relationship-based approaches to risk management. Why do we use TRUSST training? It is our firm belief, backed up by evidence, that this approach reduces rather than increases risk and promotes safety for all. We have had considerable success in helping young people to reduce their levels of risk using these techniques and our outcomes evidence consistent risk behaviour reduction over time. To ensure the consistent use of the model and ensure that restraint is only used in exceptional circumstances, all restraint incidents are reported to a senior management in order that the necessity can be validated. 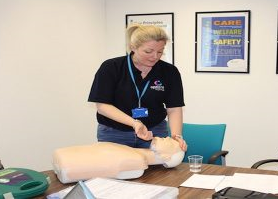 Care in Mind recognise that there are occasions when staff need to respond to life-threatening situations, by utilising minimal restrictive holds for the shortest time possible but all staff are trained in alternative strategies. 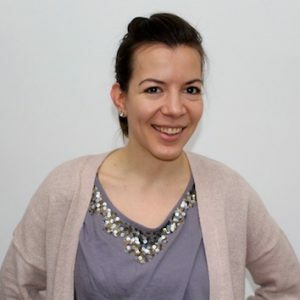 Before joining Care in Mind, Leonie studied and completed Bachelor of Arts degree in Social Work in her native country Germany, also undertaking work experience in various aspects of social work, such as working at a children’s day group centre for kids with family and behavioural difficulties. During this time, she gained experience in dealing with complex and challenging situations in a professional manner. While working at Care in Mind, Leonie has progressed from support worker to team leader, at which point the opportunity for a position as TRUSST instructor occurred. Working in the social care and mental health sectors can sometimes be challenging, but rewarding too. With her work experience and achieving ProQual Level 4 Award in the Instruction of Managing the Risk of Aggressive and Challenging Behaviour in the Workplace, Leonie trains the Care in Mind staff in dealing with escalating and crisis situations in a therapeutic, effective and safe manner.